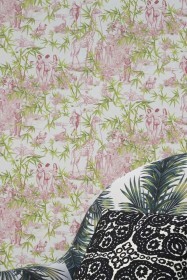 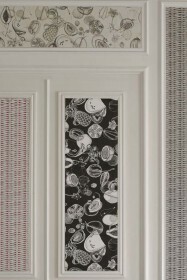 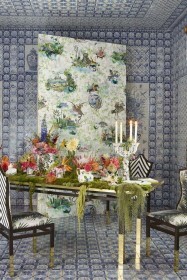 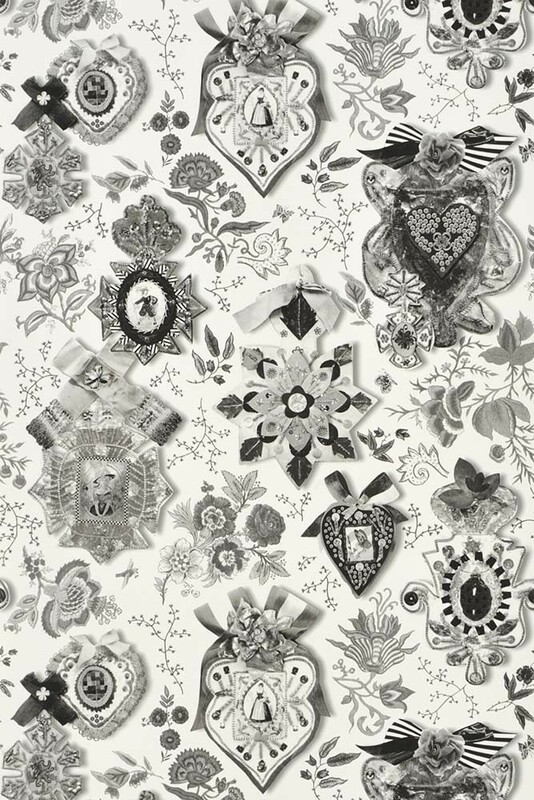 A wonderfully eclectic wallpaper collection from the renowned House of Lacroix; the Incroyables et Merveilleuses collection is an assemblage of exotic and quirky imagery that nevertheless translates into yet another must have collection for devotees of Lacroix! 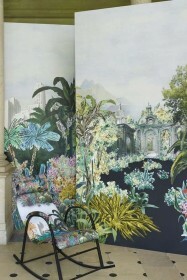 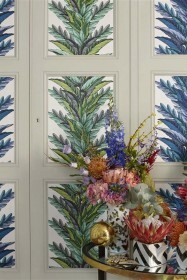 The most marvellous wallpapers with unmistakeable Lacroix images in signature colours including three fabulous panoramic panels. 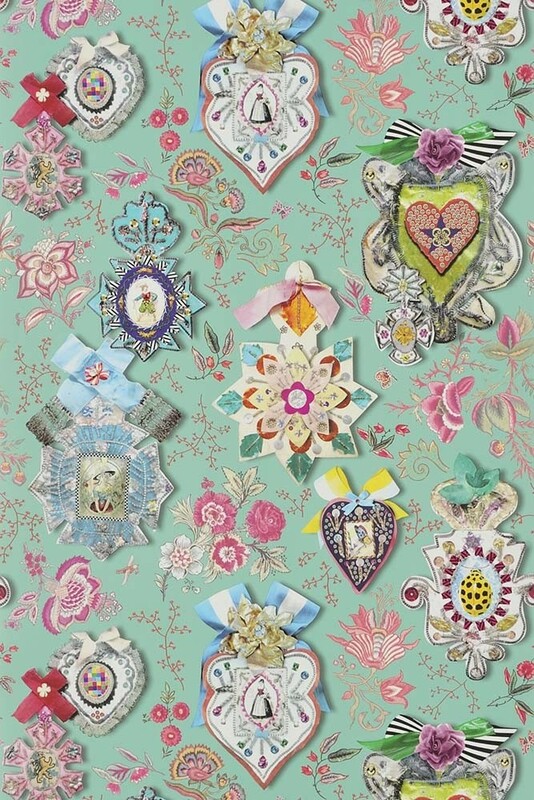 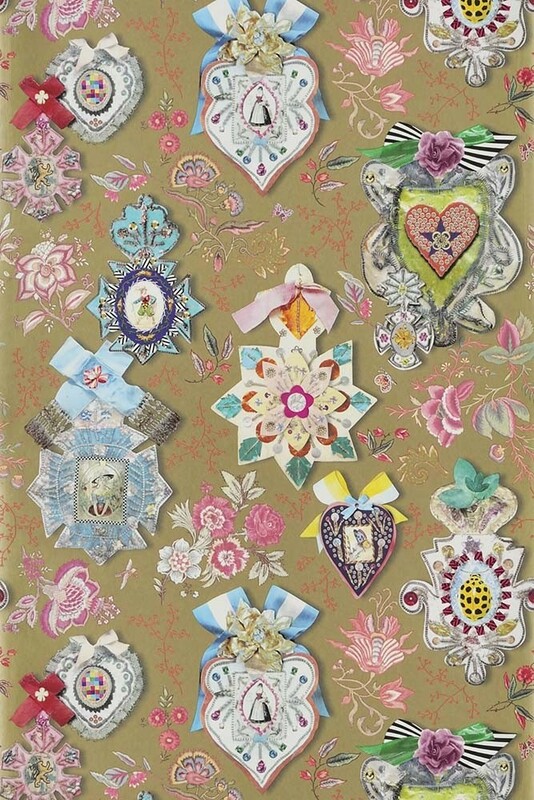 A terrific design depicting a collection of rosettes, emblems and badges in photorealistic glory with unique Christian Lacroix signature style. 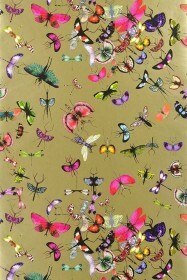 Printed onto heavyweight non-woven grounds for easy hanging, this is yet another a must have Lacroix design. 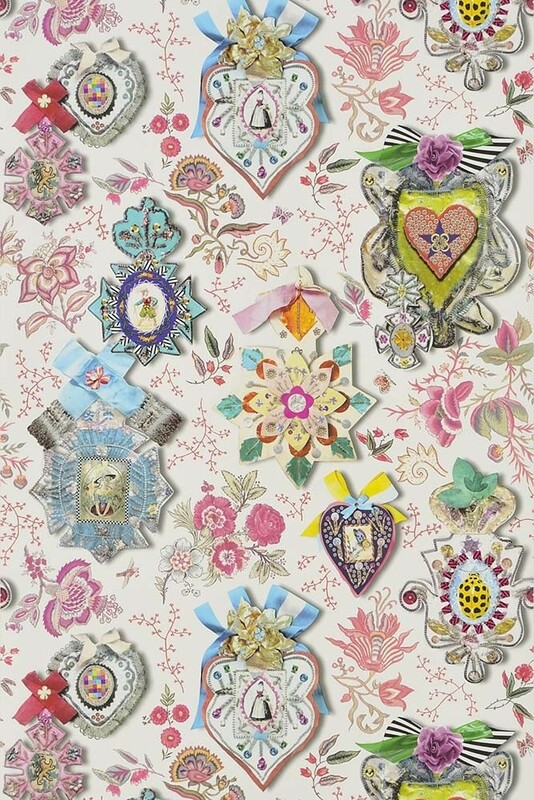 Cocarde in French is a rosette made of ribbons and beads that was used by the soldiers but then used as a decoration on hats, clothes etc. 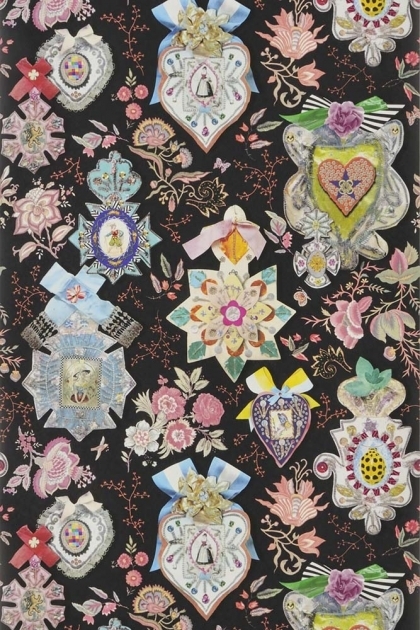 by women after the Revolution.